Secure Your Unfinished Shade Cloth with Shark Bites. Shark Bites are a unique two-piece plastic grommet which provide incredible hold to your unfinished shade cloth. Constructed with a combination of nylon and heavy duty plastic, they provide extra strength when attaching your shade cloth. Simply slide your shade cloth between the two piece design and the shark teeth won't let go. 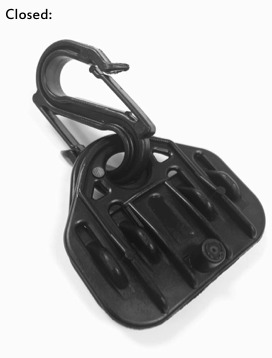 Features a 1/2" hole for rope, wire or zip ties. Reusable to save you money. For a video of the Sharkbites in Action click here. 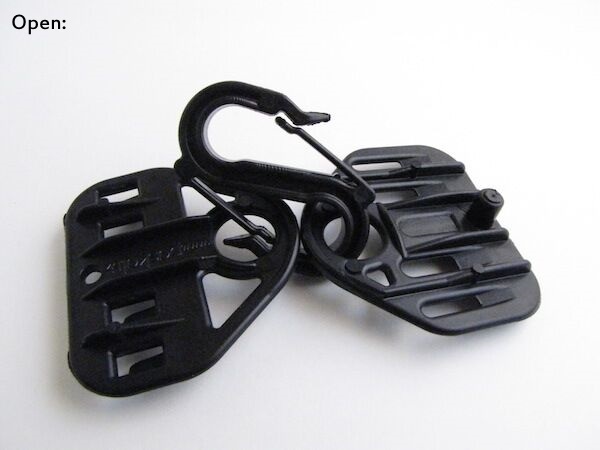 OR buy the Shark Bite S Hook Combo to instantly create curtains or quickly mount your shade cloth to any type of line.